My parents are visiting me and I have been quite busy with family trips. 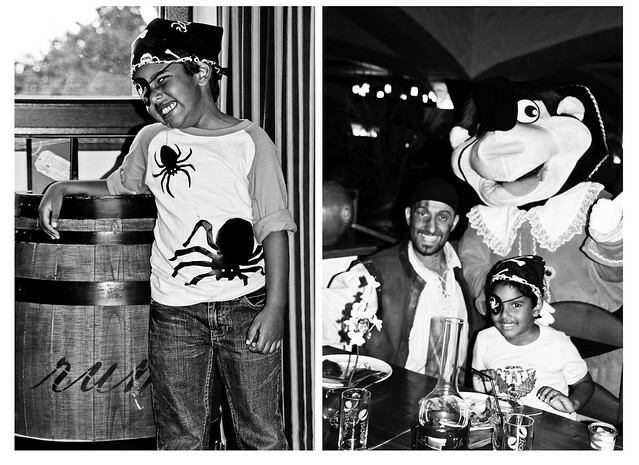 It has been Ansh’s birthday last week and his gift was a trip to the Heide Park with the pirate theme. It was fun filled weekend for both him and the grown ups. Visiting parents means quality time for my kiddo with his grandparents. And for me, playing rummy in the afternoons and fun filled dinners. Since my poor blog has been neglected, I am treating it with a delicious bread. Spray a loaf pan with non stick spray or use some butter. Keep aside. Sift together flour, baking powder and salt. Keep aside. With the help of a hand mixer or a stand mixer(paddle attachment), beat together egg white, sugar and butter for few minutes. Add in honey, cinnamon, vanilla. Beat for 1 or 2 minutes. Now add in mashed bananas, and whisk well, with a wire whisk. Fold in the sifted flour and baking powder mixture. Fold in till just incorporated. Pour the batter into the loaf pan and bake for around 45 minutes, till a tooth pick inserted comes out clean, with just few crumbs. Every oven is different some may even take up to 1 hour. When done take out of the oven and cool on the wire rack. 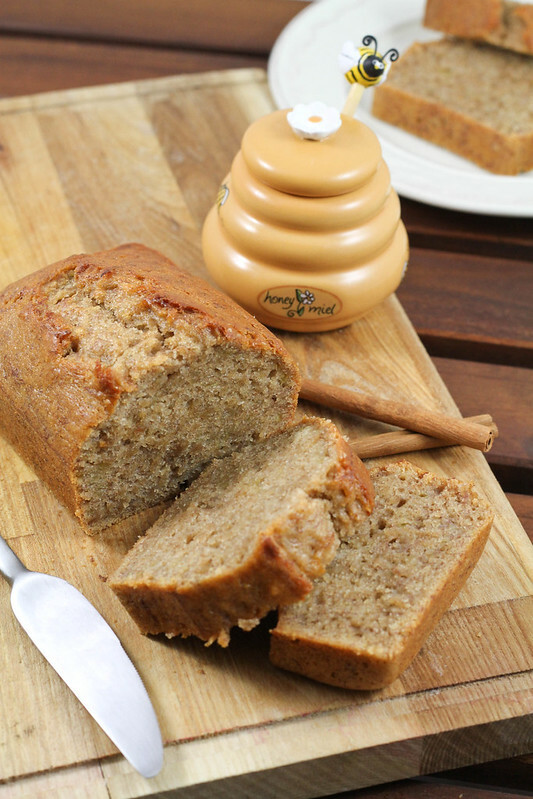 Have fun with your parents, i always say Shyama is spoiled by her grandparents 🙂 in a good way ofcourse, love banana bread and this looks so good. 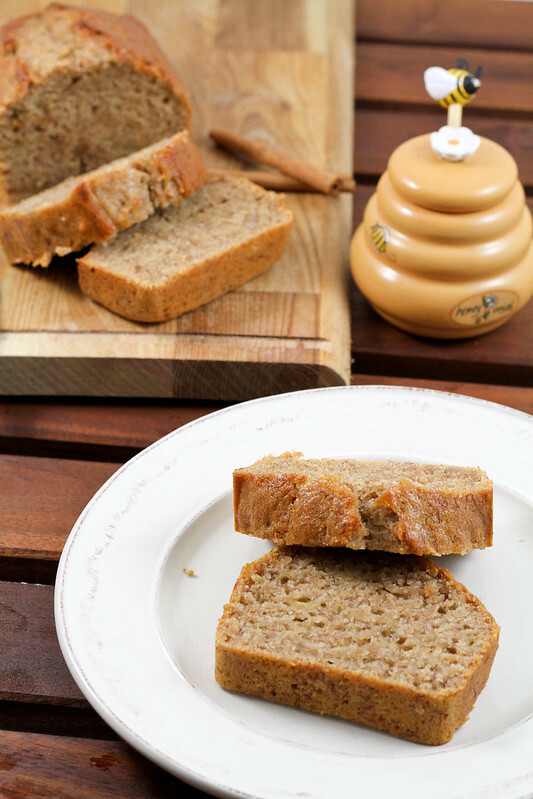 I love the breads with honey..looks so soft and yummy…Good nice post .. 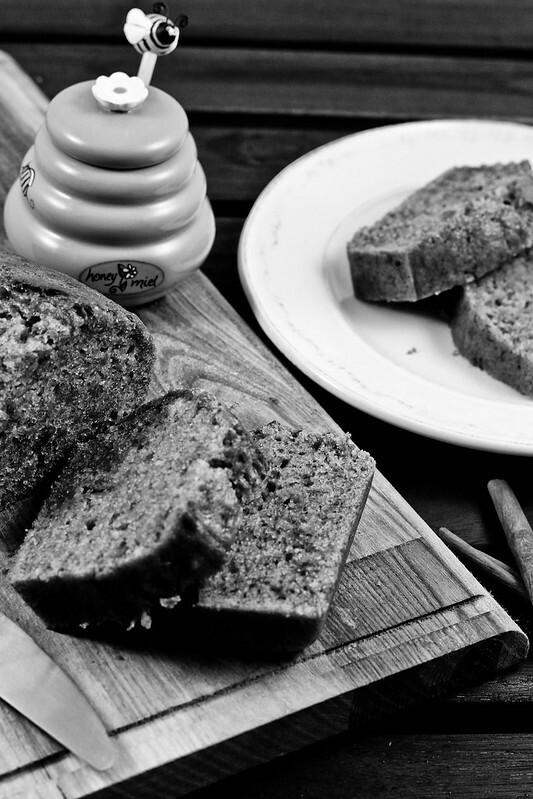 Bread looks so scrumptious…Nice texture…..Have a blast with parents…..Belated wishes to the young man…. What a fun pirate party and a perfect banana bread! Enjoy your parents’ visit and happy b’day to the little guy.